It’s almost time for the Christmas elf to visit. 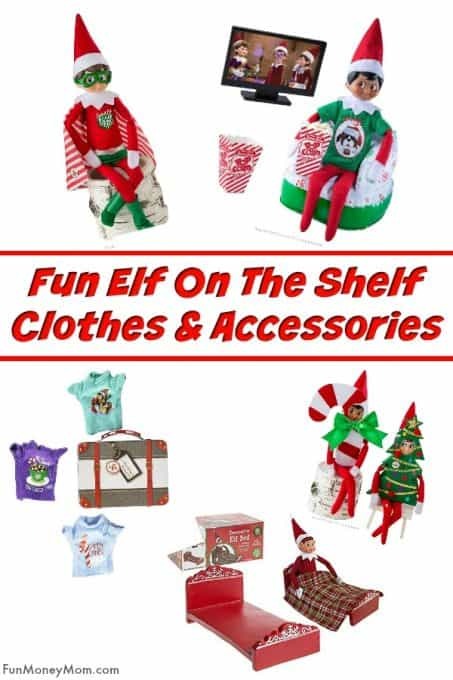 Why not surprise him with some fun Elf On The Shelf clothes and accessories. 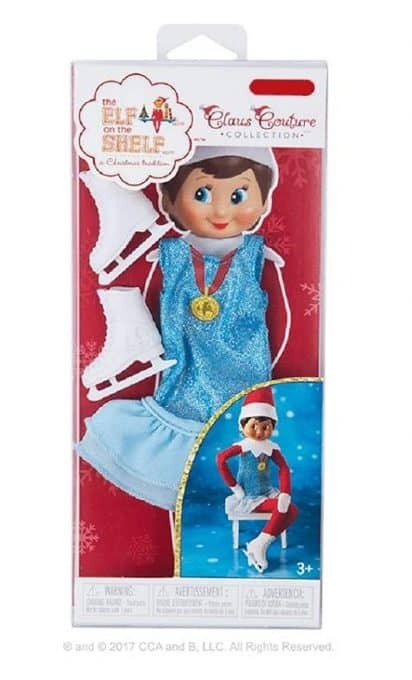 I think we’re going to surprise Elfy with some cute new Elf On The Shelf clothes this year. After all, it must get boring wearing the same clothes day after day (and it may even move us higher up on the nice list!). There are so many cute ideas and it’s not just clothing, either. 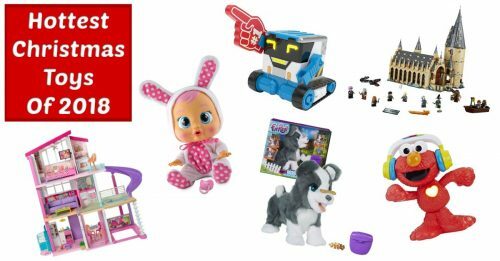 There are kits that will make your Elf bendable (so he can pull off more funny Elf On The Shelf ideas), Elf pets and even Elf Christmas notes. The possibilities are endless, from clothes to props and lots more. 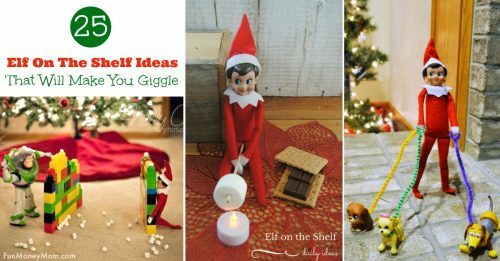 Which of these fun gifts do you think your elf would like most? 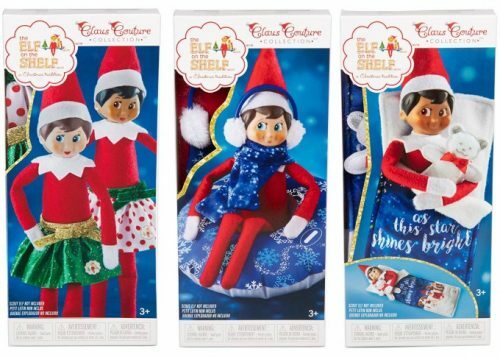 With a sleeping bag, party skirts and snow tube set, it doesn’t get much cuter than this Elf On The Shelf Couture Set! Did you know that elves love baking? 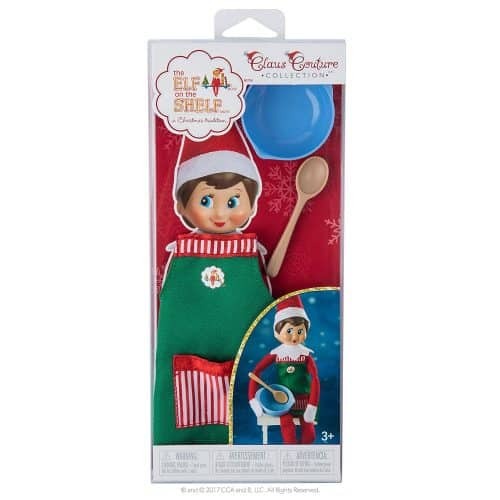 We may just have to get Elfy this Sweet Shop Set, complete with apron, mixing bowl and spoon. 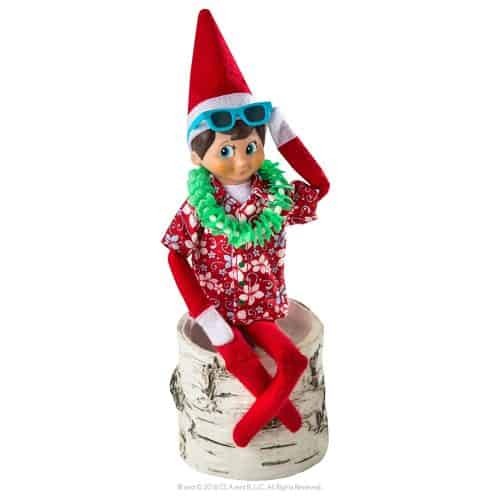 Since we live in Florida, I’m seriously thinking that our elf needs this Holiday Hawaiian shirt, complete with glasses and lei! 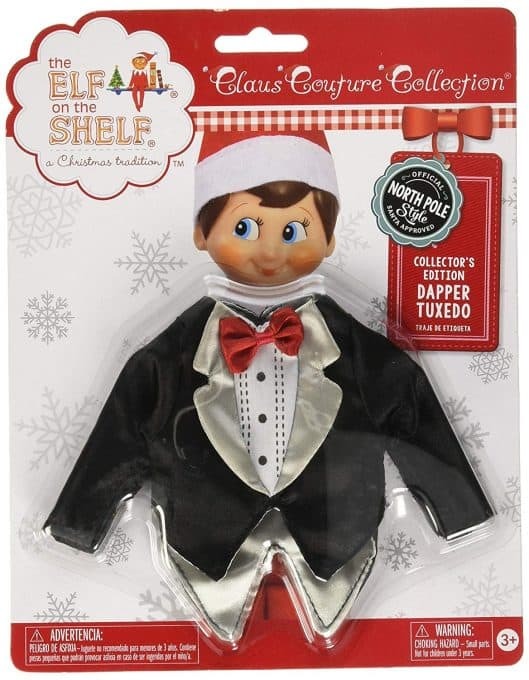 On the flip side, if you’re elf has a fancy party to go to, he’ll need to get dressed up in this Dapper Tuxedo! 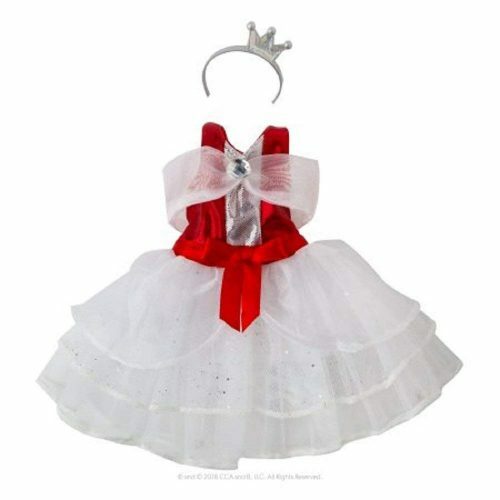 If your girl elf is going to the party too, she’ll want to wear this cute Peppermint Princess Gown. 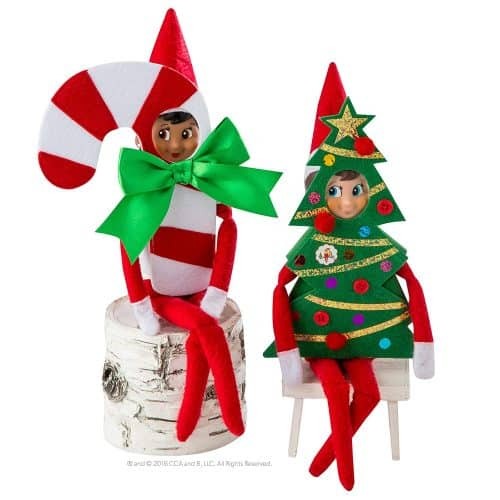 My girls would have a total giggle fit if they woke up to see their elf wearing one of these holiday costumes! 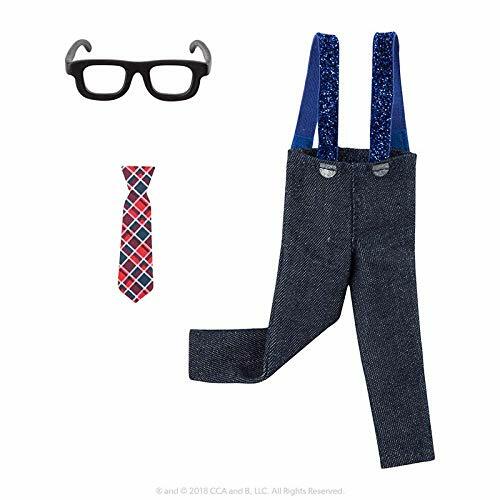 Dress your elf up in this fun Jingle Jazzy outfit. 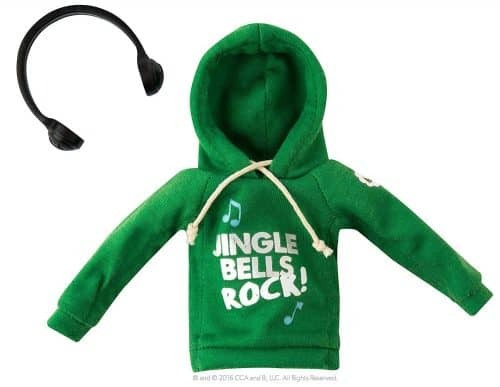 This Jingle Jam Hoodie is perfect for all those cold flights to the North Pole. Does you elf like ice skating? If so, you’ll definitely need this Arctic Ice Skating outfit. 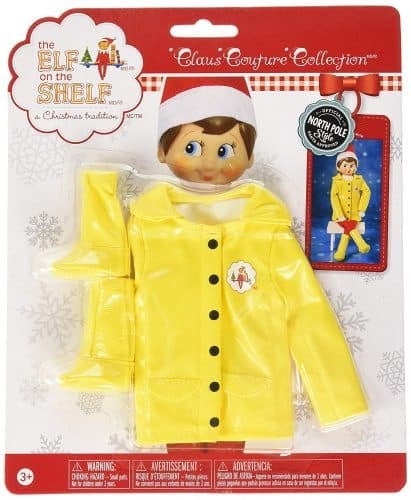 Your favorite elf can even have his (or her) own Elf On The Shelf Raincoat. These fun t-shirts even come with their own suitcase. 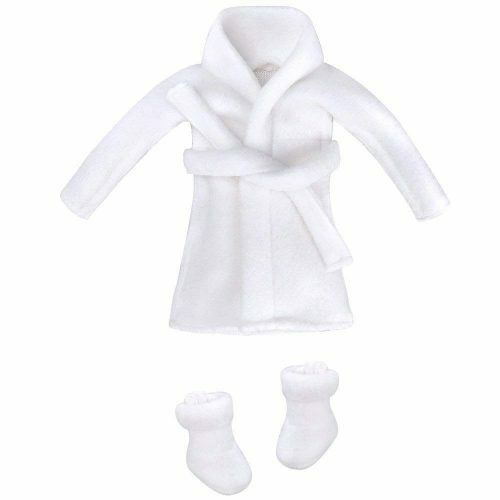 This Elf On The Shelf bathrobe, complete with slippers, is perfect for when your tired little elf needs a spa day. 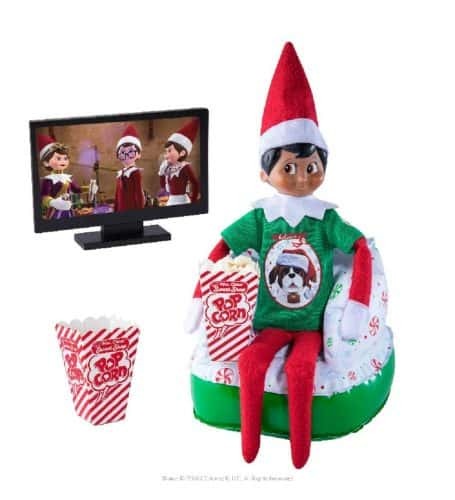 This Elf On The Shelf Movie Night Kit is perfect for when your elf wants to watch all his favorite Christmas shows. It comes complete with two popcorn buckets, peppermint chair, green t-shirt and mini TV. 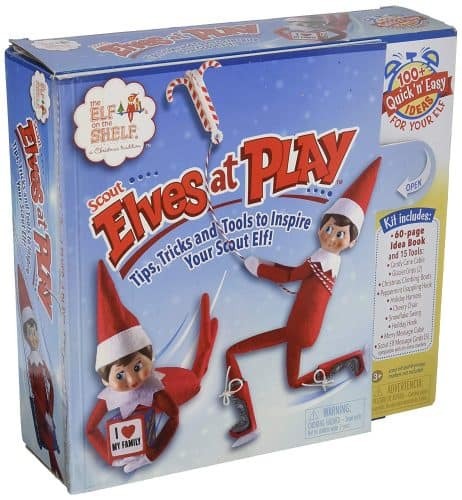 This Scout Elves At Play Kit comes with tons of fun ideas and even includes 15 fun elf sized tools. Even elves have accidents (flying back and forth to the North Pole every night isn’t easy). 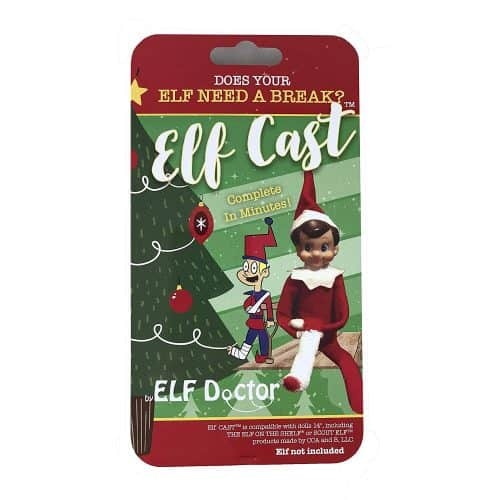 At least this Elf cast can help when he gets injured. Ever wonder how your Elf On The Shelf gets in and out every night? 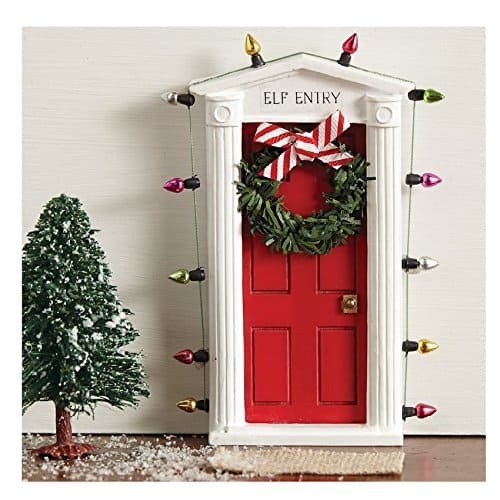 He probably just sneaks in through the window but this Elf Entry Door is so much more fun! 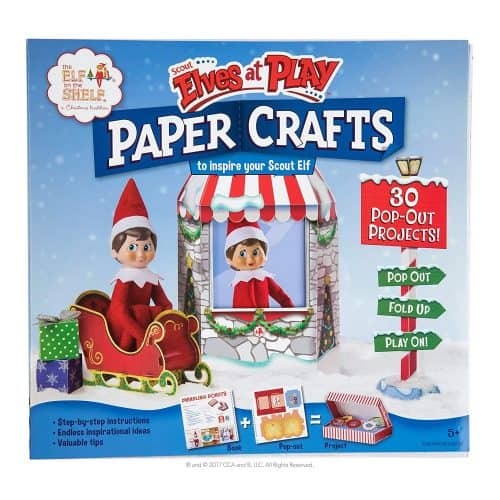 How excited would your kids be to get notes from their elf every day? 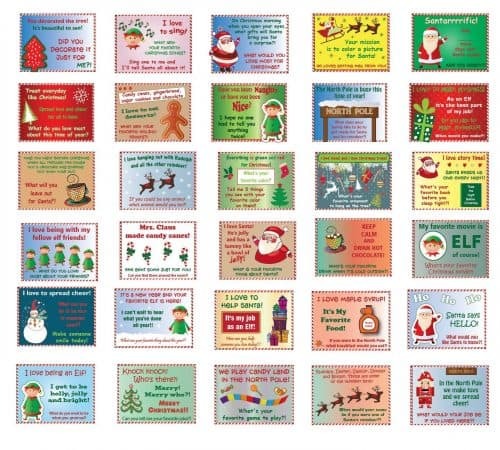 These Magical Merry Elf Notes will have the kids jumping out of bed each morning looking for his next message. 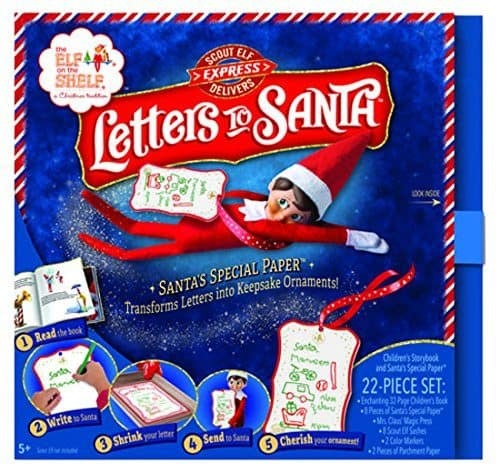 The kids will love writing letters to Santa using special elf paper! It even shrinks down to elf size so your elf can carry them straight to Santa. After Santa reads them, your elf hangs them on the tree as Christmas ornaments. 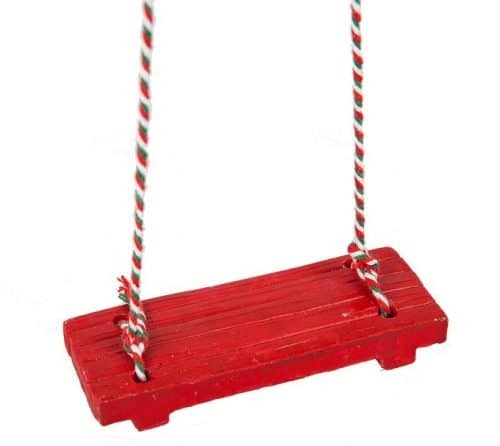 What elf wouldn’t love to have his very own swing to play on? Flying to the North Pole every night must get exhausting. 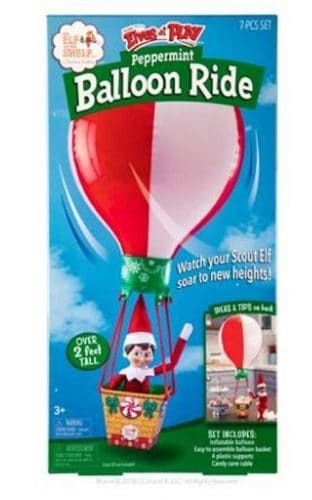 Now your elf can take his very own Peppermint Balloon Ride instead. 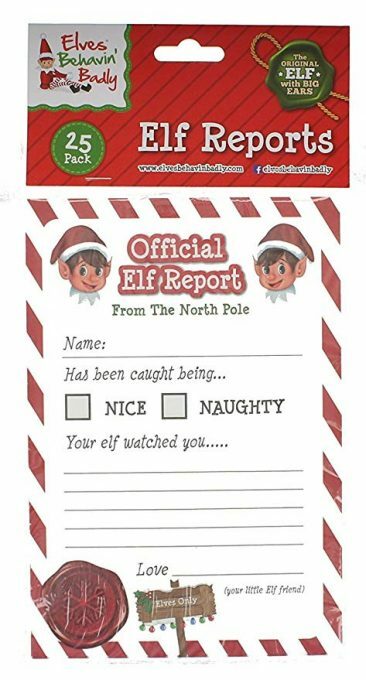 The kids will think twice about being naughty when they know they’ll be getting official Elf reports every day. Want an elf that can save the day too? 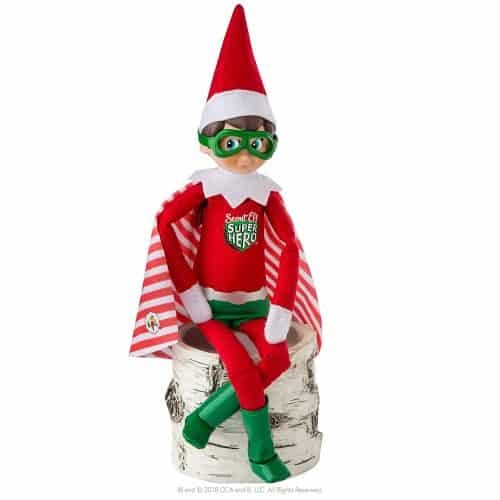 You’ll need this fun Elf On The Shelf superhero outfit! All that flying can be exhausting. 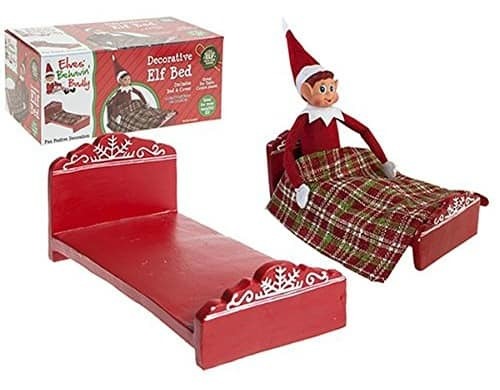 A busy elf needs to sleep and this Elf Bed looks pretty cozy. 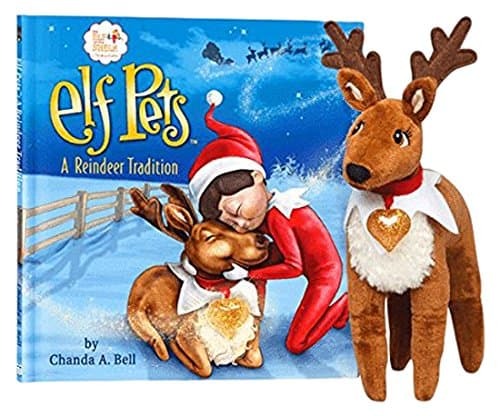 Give your little elf a reindeer pet so he’ll have some company when you’re asleep. This next one is not for the elf…it’s for mom. 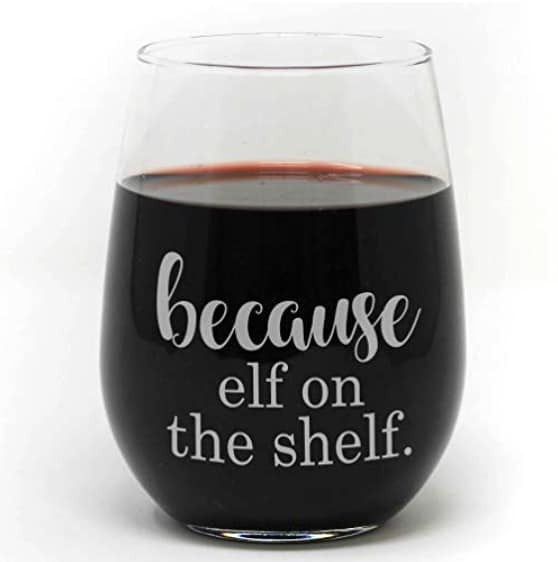 Elf On The Shelf Wine Glass…mom knows why!! !